There are many Fortune 500 companies that choose to hold their annual conventions in “America’s Next Greatest City”. Perhaps this is why the city was given that nickname. It’s a wonderful area with plenty of great venues for hosting large, corporate events. Naturally, the company will need to arrange for flights and limousine transportation for all of the executives that will be attending the convention. It’s the corporation’s responsibility to handle all transportation for the events. If the attendees want to travel about after meetings and such, they’ll need to rent cars for themselves. Luxury Transportation Group USA offers drivers experienced in providing limousine services for executives. It should go without saying when a company requires its upper level executives to attend meetings and workshops at the regional office, they expect much more upscale accommodations and transportation than a lower level executive. It makes sense. This upper echelon of the management team should be provided with luxurious limos to get them to where they need to be. 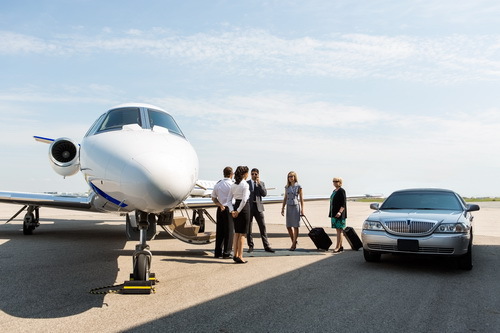 Luxury Transportation Group USA offers professional and discreet drivers for executives attending meetings in the area. Luxury Transportation Group USA is the premiere provider of high end limos for executive events in Tampa, Miami, and Orlando. With professional drivers and a top of the line fleet of vehicles, your employees will be comfortable and relaxed. Call 407-476-0429 to schedule executive transportation for your next corporate event.